This is a land of 1,000 islands with a magical nature and rich heritage. This is a land whose beauty has been celebrated since ancient times and whose stunning Adriatic seascapes inspired the likes of Dante and George Bernard Shaw. This is a land of inspiration. And, today, its beautiful beaches, bright sunshine, cultural treasures (the country has seven UNESCO Heritage Sites), ancient architecture and charming folk traditions captivate visitors from around the world. Dubrovnik…hugs the coastline and lies across the Adriatic Sea from the eastern shores of Italy. It offers exciting night life, celebrity spotting, designer cocktails and fancy yachts! But, it’s more than glitz and glamour. There are everything-you-could-wish-for resorts and hip boutique hotels, unique lighthouse islets and fetching fishing villages, secluded coves and Robinson Crusoe-style atolls. In a word, Dubrovnik is the perfect getaway that warmly welcomes all. Beauty within…a visit to Croatia wouldn’t be complete without experiencing the beauty of the inland regions. The rugged wilderness begs to be explored with hiking, biking, rafting and canoeing. The capital of Zagreb boasts sidewalk cafes on picturesque pathways, astonishing architecture, ancient attractions, charming street markets, and gastronomic havens aplenty! We are thrilled to be taking one of our clients to Croatia for their incentive program and are excited to share the wonders of this gem with the company’s executives and top sellers. 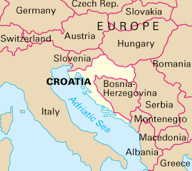 Now, the time is right for you to consider Croatia!